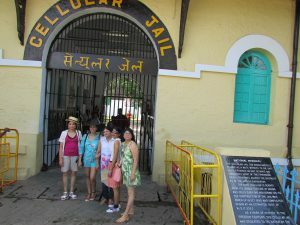 Well, that was a piece of occurrence that happens with almost every tourist on the tour to India. 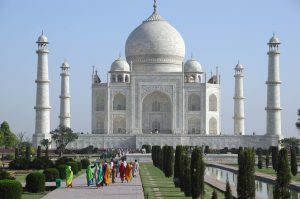 Everyone know that India is no less than a treasure trove of wonders. 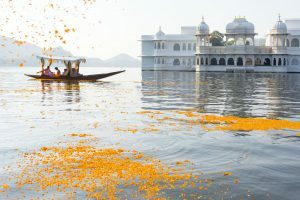 Exploring India makes every tourist plunge into an Complete euphoria. Based on the architectural brilliance, We must say India is bequeathed with copious structural wonders. 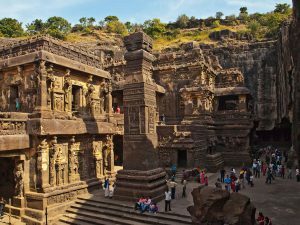 Going through the major forts, temples, palaces and monuments, We have compiled a list of top 14 wonders in the country, This list is from feedback of our guest who explored these places by booking their tour with us. Ghum India Ghum helps you to experience that how India got the tagline of Wonders of India. 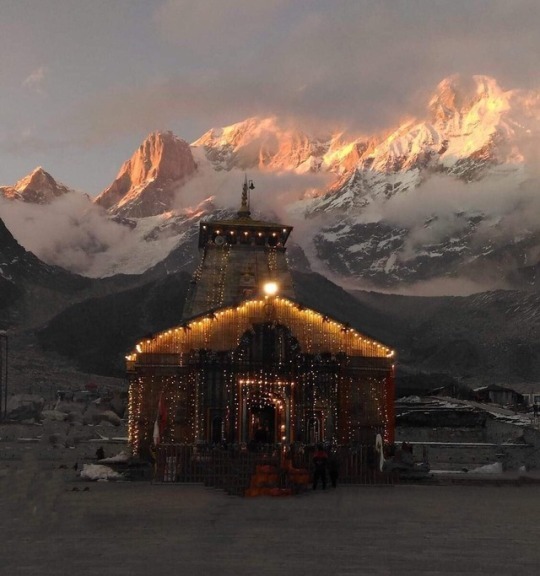 No any other Travel Agency in India can match the service and price as compare to us. Golconda Fort, a spectacular monument, is situated on the western periphery of Hyderabad City. This majestic fort pours out the rich cultural heritage of ancient India. Muhammad Quli Qutub Shah, as an insignia of Nawabi culture, built the fort in 1525. 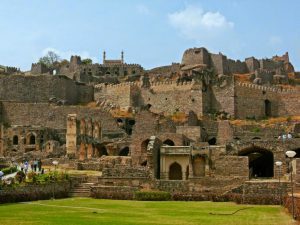 Golconda Fort was famous for its diamond trade and it is widely believed that the famous ‘Kohinoor’ diamond originated here. The meticulous details and fine architecture of the fort fascinate the travelers and history lovers from all over the globe. Sanchi is famous as a paradigm of Buddhist architecture and culture. 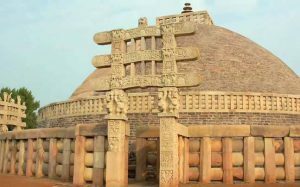 Sanchi Stupa is the most momentous of all the monuments in Sanchi. 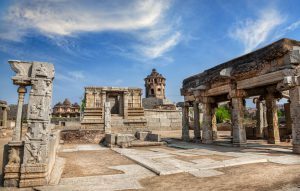 Moreover, Sanchi Stupa is among the most preserved stupas in the central part of India . During the reign of Shunga, Sanchi Stupa was expanded and decorated with stairways and railings. A beautiful harmika was placed on the top of the edifice. The monument is bejewelle with astounding designs and motifs. Interestingly, Lord Buddha has been emblematically represented in Sanchi Stupa in the figure of a tree and other inanimate forms. Whenever anyone visit to Delhi, India, The want to see the residence of the first person of India. When they see they say “My God! What a splendid and fascinating monument it is!” The abode of the President of India is an eminent British monument situated in the heart of nation’s capital. It exemplifies the architectural brilliance of the British. 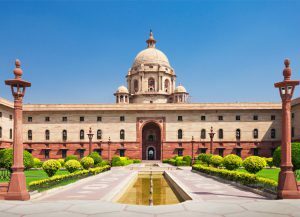 Designed by Sir Edwin Lutyens in 1911, Rashtrapati Bhawan was once the dwelling place of Lord Edwin, the viceroy and Governor General of India in 1931. The famous Mughal Garden augments the beauty of this edifice. There is a need of prior online booking to visit Rashtrapati Bhawan. 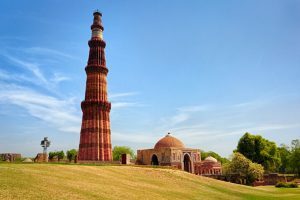 Did you know that the largest sundial on the planet is in India? You will be amazed to know that it tells the time that lags only two seconds from the actual local time. 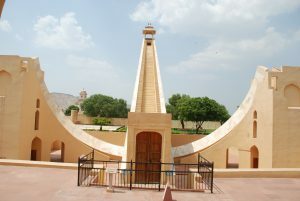 It is the Jantar Mantar in Jaipur. The Jantar Mantar of Jaipur is the biggest stone observatory of the world. Constructed by Maharaja Jai Singh in the 18th C, Jantar Mantar holds fourteen geometric devices used to compute the time of the day. This monument is listed among the UNESCO World Heritage Sites in India. 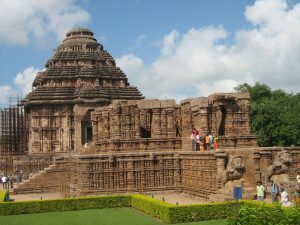 The Sun Temple of Konark reveres the Sun God and it attract tourists from all the sects. This fabulous temple symbolizes how the sun roams about on its Regal Chariot. 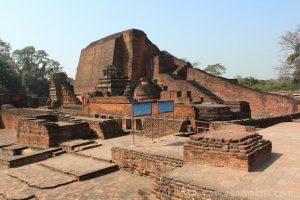 Sun Temple is also famously known as the Black Pagoda. This monument takes you back to the primordial empire of Kalinga. Mythological figures and images of animals like giraffe, Lions, snakes, etc., cover the walls of this edifice. 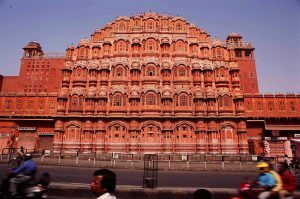 Hawa Mahal is a wonderful, pink sandstone and ancient monument that rises up to five storeys. Now it is most famous symbol for Jaipur tourism. Built by Maharaja Sawai Pratap Singh in 1799, this monument is in the form of Lord Krishna’s crown. Structure is pyramid shaped palace embraces 953 windows or jharokhas to let the Maharaja’s wives have a view to outside world. The top of this palace renders stupendous views of Siredeori Bazaar, City Palace and Jantar Mantar. 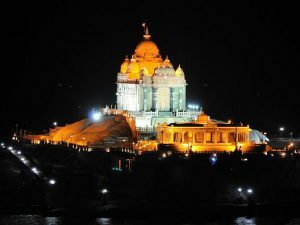 A famous tourist attraction in Vavathurai, Vivekanand Rock Memorial was built in 1970 in honor of Swami Vivekanand. It is said that Vivekanand meditated on this rock. As per Hindu legends believe , Goddess Kumari performed austerity on this rock. From here, the merger of the Bay of Bengal, Indian Ocean and the Arabian Sea can be witnessed. This beautiful memorial is a symbol of purity and harmony. Previous Post Why, India is known as Incredible India!